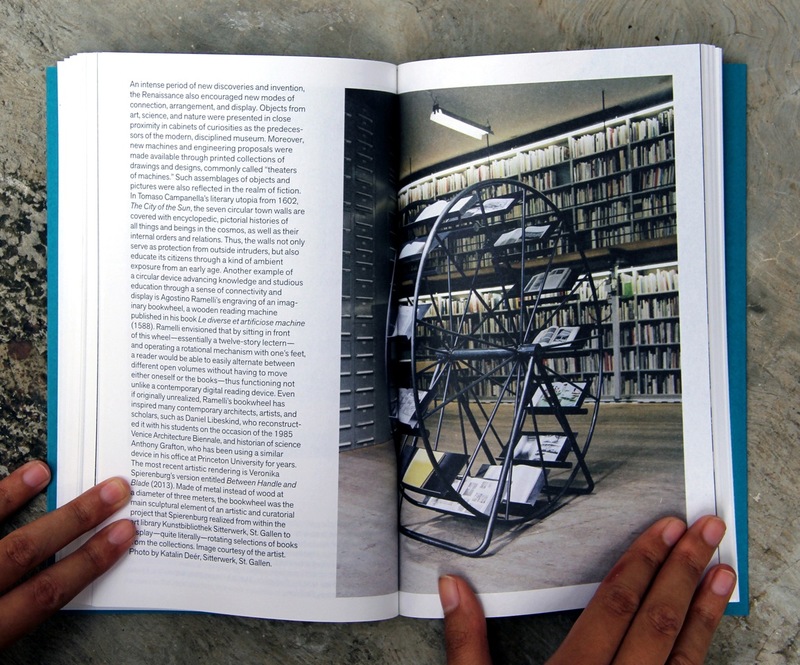 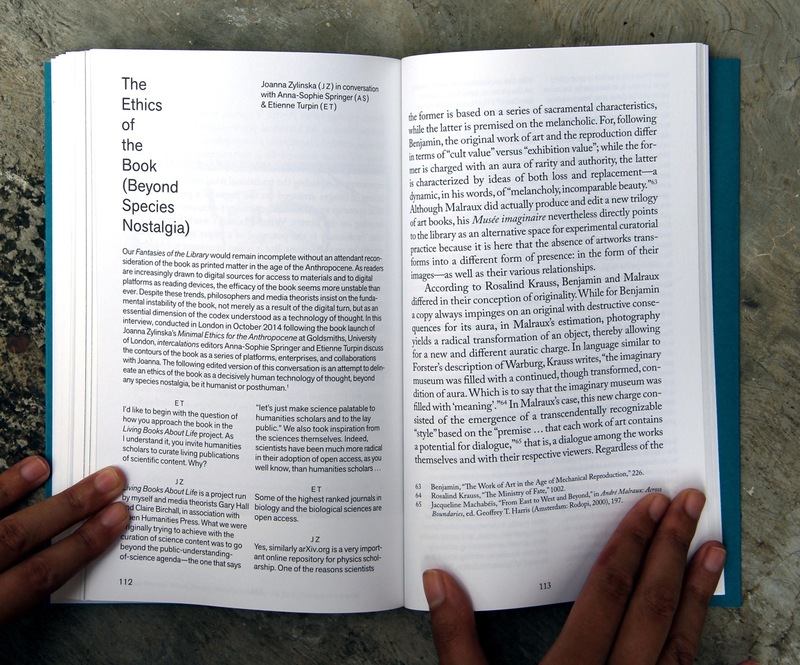 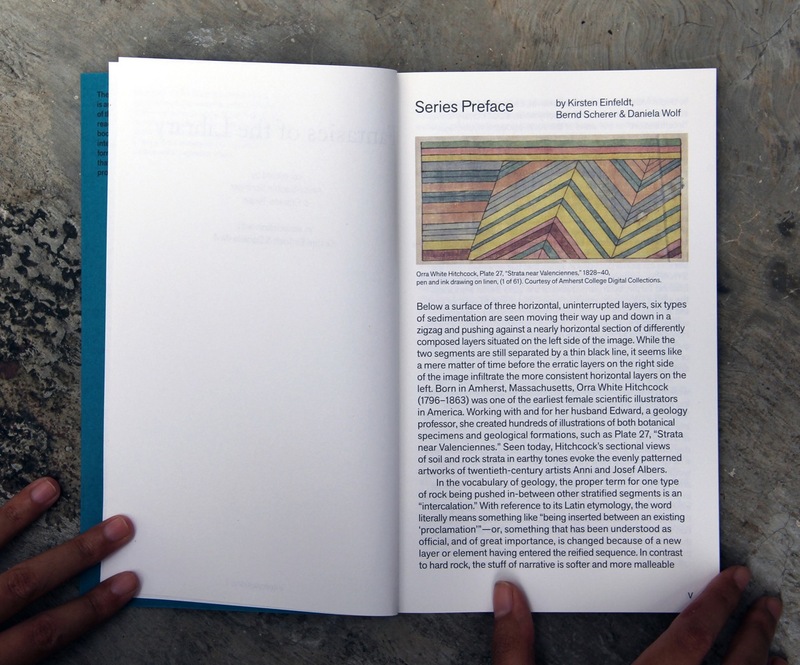 ... is a sequence of pages wherein the reader-as-exhibition-viewer learns, rather surprisingly—but with growing conviction—that the library is not only a curatorial space, but that its bibliological imaginary is also a fertile territory for the exploration of paginated affairs in the Anthropocene. 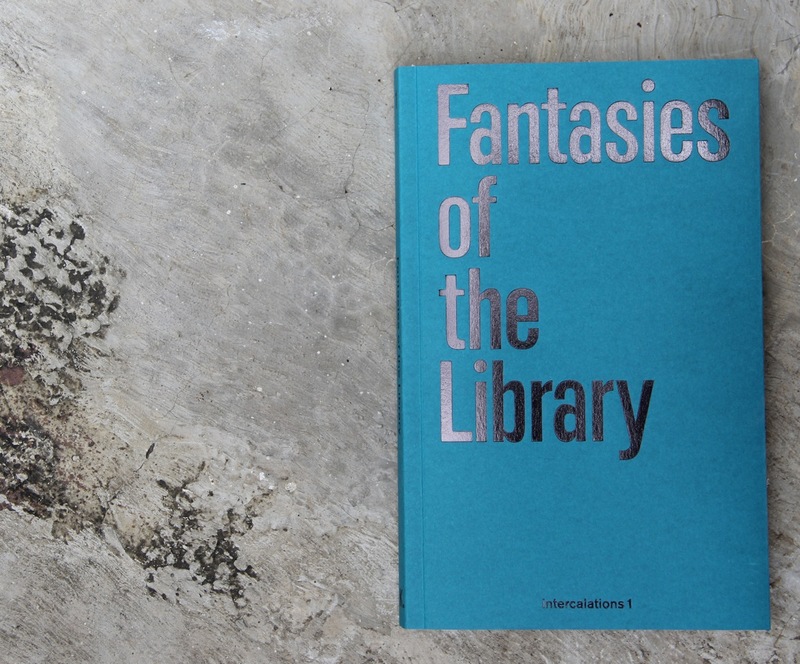 Fantasies of the Library inaugurates the intercalations: paginated exhibition series. 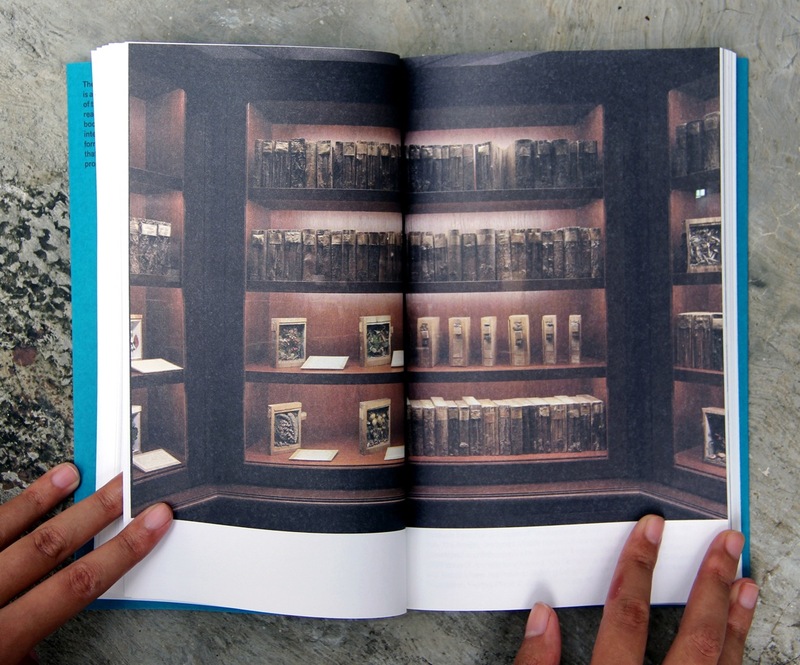 Virtually stacked alongside Anna-Sophie Springer’s feature essay "Melancholies of the Paginated Mind" about unorthodox responses to the institutional ordering principles of book collections, the volume includes an interview with Rick Prelinger and Megan Shaw Prelinger of the Prelinger Library in San Francisco; reflections on the role of cultural memory and the archive by Hammad Nasar, Head of Research and Programmes at the Asia Art Archive, Hong Kong; a conversation with media theorist Joanna Zylinska about experiments on the intersections of curatorial practice and open source e-books; and a discussion between K.’s co-founder Charles Stankievech and platform developer Adam Hyde on new approaches to open source publishing in science and academia. 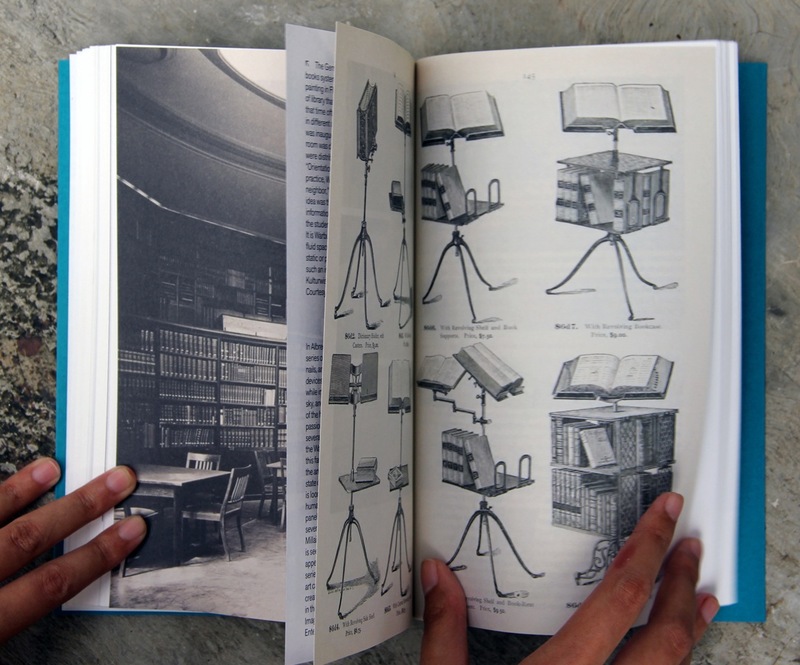 The photo essay, “Reading Rooms Reading Machines,” presents views of unusual historical libraries next to works by artists such as Kader Attia, Andrew Beccone, Mark Dion, Rodney Graham, Katie Paterson, Veronika Spierenburg, Andrew Norman Wilson, and others. 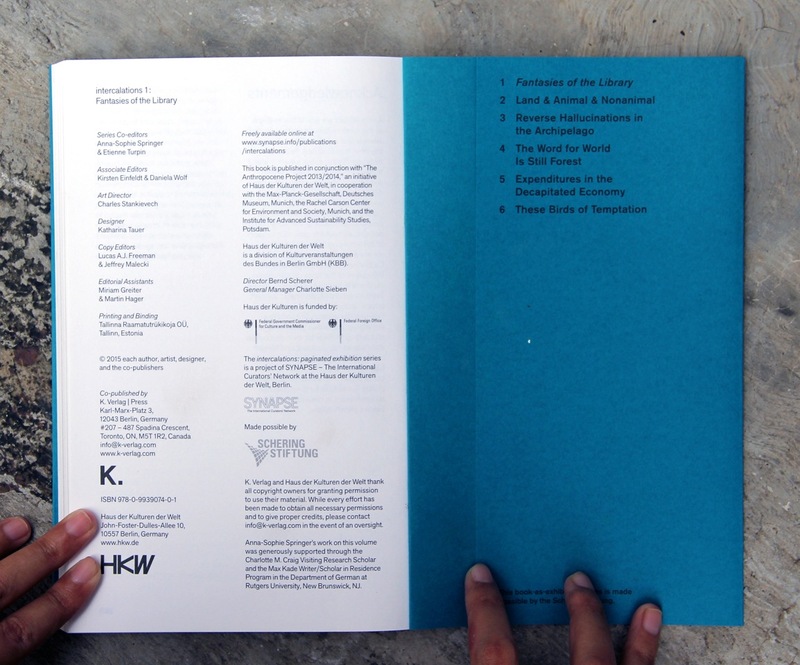 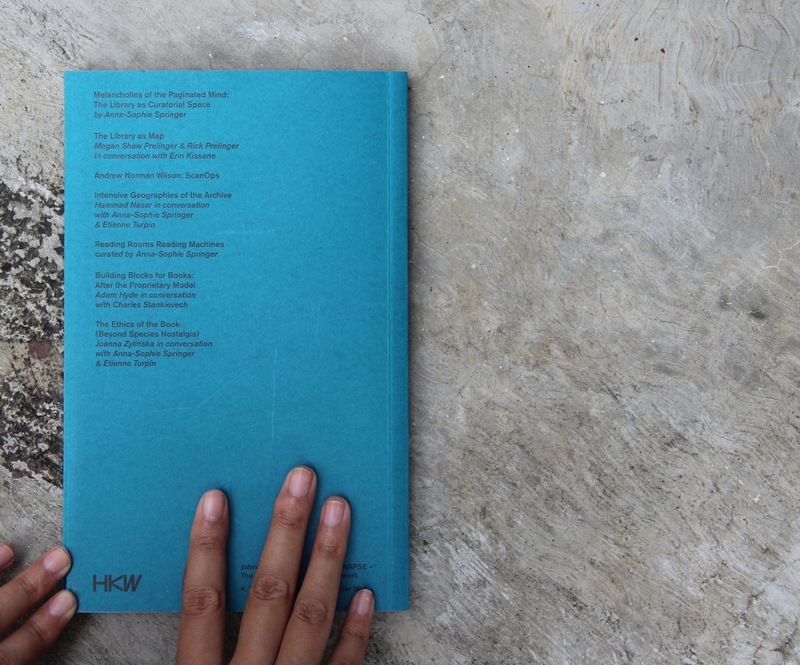 Co-published by K. Verlag and the Haus der Kulturen der Welt, Berlin. 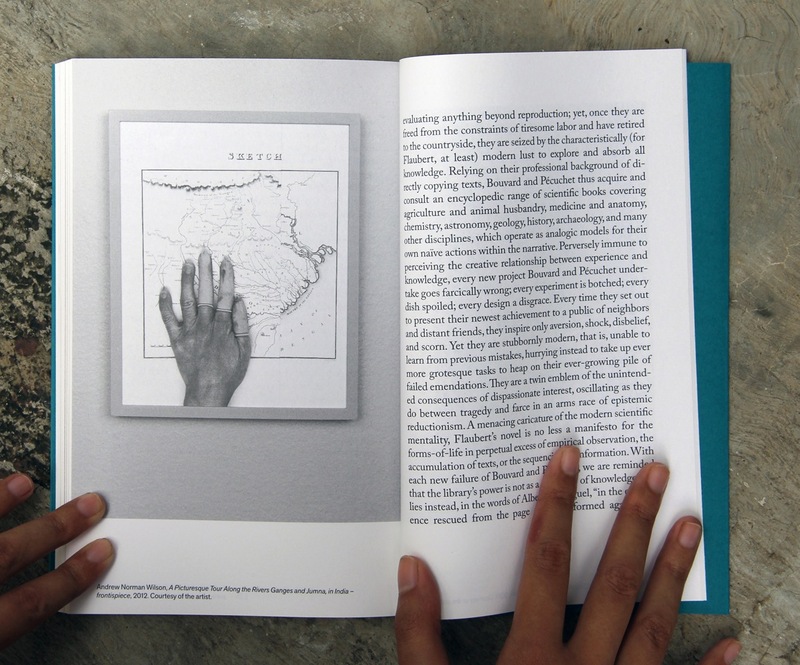 Made possible by the Schering Stiftung.